An unusual collaboration between women of many nations and Italian publisher Meltemi brings you a book published in Italy in English. 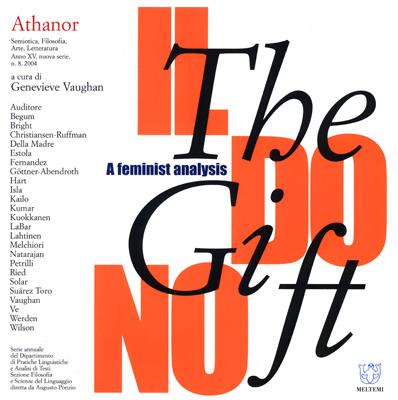 Written by some 25 members of the international women�s movement, The Gift, Il Dono: A Feminist Analysis, presents a perspective that is necessary for a paradigm shift towards a better world. To download Athanor click here. Or click below to read online.